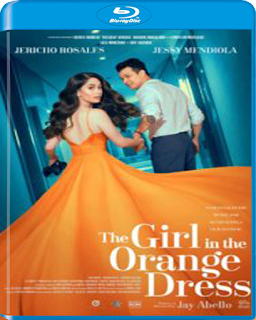 Quantum Films, Star Cinema, and MJM Productions' romantic comedy, The Girl In The Orange Dress, is their entry to the Metro Manila Film Festival this year. The film is directed by Jay Abello who is known for his successful directorial projects such as Pinay Beauty, Flotsam, and another Jericho-starrer, Red. The Girl In The Orange Dress tells the story of a girl, Anne, who wakes up after a wild party in the bed of celebrity heartthrob, Rye. The catch is she doesn't remember anything about the night before. The movie depicts the exciting and sometimes crazy lives that celebrities go through and how the new couple overcomes the challenges that fame brings to their relationship.